Truly beautiful, the real flower and the quilt ! Love from Belgium ! Pretty, and I love how you quilted it! Beautiful finish, especially in the smaller sized blocks. I like your quilting on it. Beautiful finish, Patty! 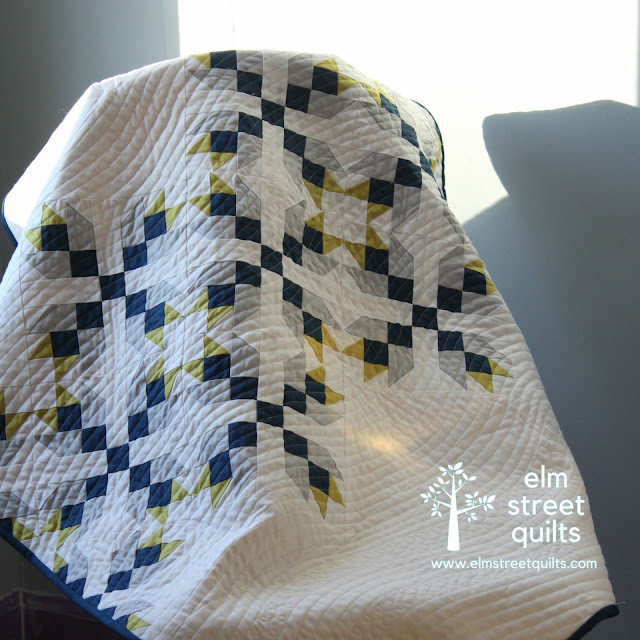 Your quilting looks wonderful, and I like how the dark Cadet binding frames it. It is gorgeous! 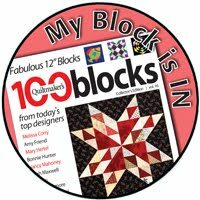 I love the block, have it tucked away for future consideration. Wow. Absolutely stunning. I love the design, your fabrics & colors, as well as quilting. Great job. I wish I'd thought to downsize mine! I haven't started mine yet, so I guess I could, but I have fabric for the queen size, so... guess I'll continue as planned. I really like your finished project. You're giving me incentive! I love the palette you chose ! It is perfect, Patty. 'Love the colors, fabrics, and your stitching. 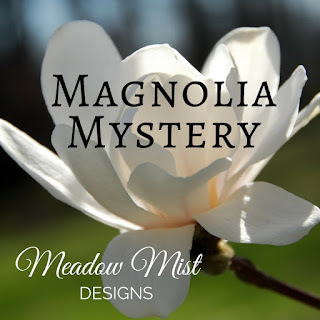 I am still working on my Magnolia Mystery top. Mine is downsized also. Nice one! Your quilting complements it so well! Ohhh, so nice! Brilliant to downsize it. And I love your quilting, especially the figure 8 fill-ins! This is just too cute!!!! 1.5 inches?? Wow. It looks amazing. I really like what you did with the quilting. 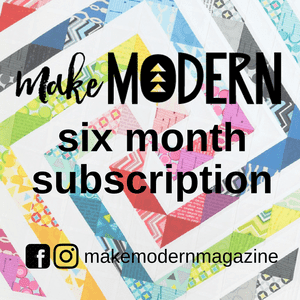 I love the colors and how you made the quilt mini! Thanks so much for taking part in the mystery quilt along! Beautiful finish! Those solids from Paintbrush Studios are so soft and the colors you chose are perfect. Love the pattern. Love the quilting. Love the color palette. Really cool quilt! I love your quilt. I finished my Magnolia quilt top and I wasn't sure I loved it but now that I have seen yours quilted I think that is what mine needs to make me love it. Wow - how stunning! The quilting just adds to the beauty of this one! Beautiful quilt with fabulous color and design - well done! Stunning job! Love your colors and how it was quilted. Really nice quilt. And I love the way you quilted it. Congrats on a great finish. Beautiful quilt! Well done on the finish... I love how you did the quilting with those areas to fill with fmq. Such a beautiful version of the quilt! I love how my top turned out, but mine's been sitting waiting for quilting inspiration (like others, it seems). 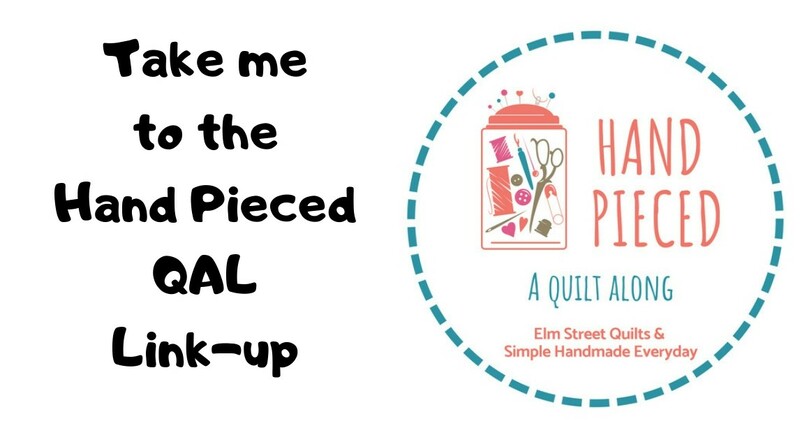 I love your quilting treatment--it inspires me to try curves! That is a gorgeous quilt! I love both the pattern and your quilting on it. I just saw your quilt posted in the Day 1 Quilt Parade (#39) Your colors are beautiful!